Ancestor Suite is also available on the PENTATONE release of Gordon Getty's Orchestral Works, recorded by Sir Neville Marriner and the Academy of St Martin in the Fields. Gordon Getty…composes facile but propulsive music, to which this CD makes a good introduction. In the space of 12 minutes, the delectable overture to his operaPlump Jack, based on Shakespeare’s immortal Falstaff, creates a juicy musical characterization of the Bard’s unforgettable fat man. The discs’ other works, which include the Ancestor Suite and the Homework Suite, have the same attractive qualities as the overture, and they are all played robustly by the Academy of St. Martin in the Fields under Sir Neville Marriner. The eleven short sections of theAncestor Suite are from a Getty ballet which was premiered in Moscow in 2009 and is based on the 1839 Poe short story The Fall of the House of Usher. 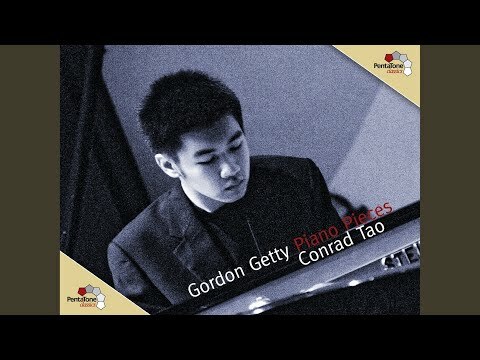 Some of the movements sound perfectly tuneful and upbeat, while others have a subtle macabre edge to them as befits the stimulus for the ballet…The usual excellent hi-res surround quality provided by PentaTone makes it easy for those of us not heavily into vocal music to get a taste of the instrumental compositional style of Gordon Getty.